Being able to see an artist in both their street art and gallery form is awesome. This weekend, Buff Monster pretty much surpassed all of that. 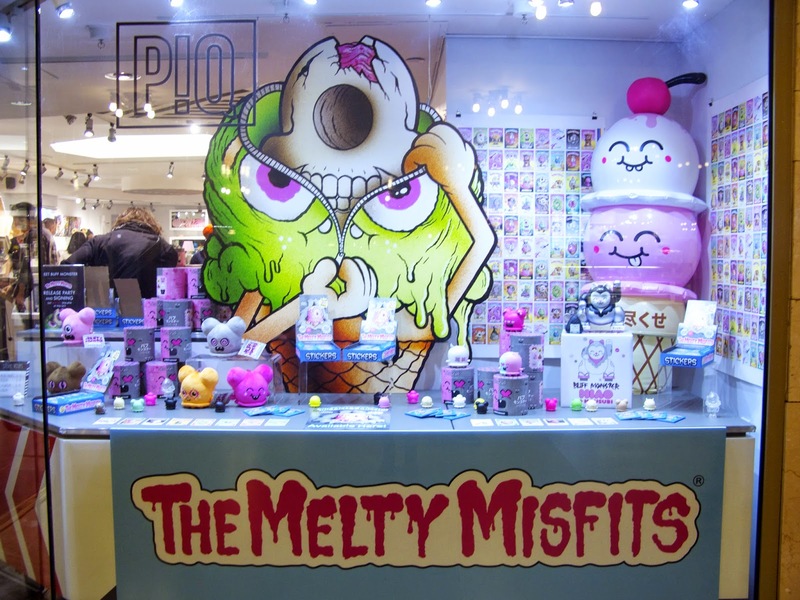 His newest exhibition, Melty Misfits Series 2, is more than a gallery. It's also a set of trading card stickers, figurines, and posters, being sold inside Grand Central Terminal. His art is just as vibrant and melty on paper as it is on walls. Welcome to P!Q--the self described "quirky outpost for artist designed gifts and much more"--is just that. 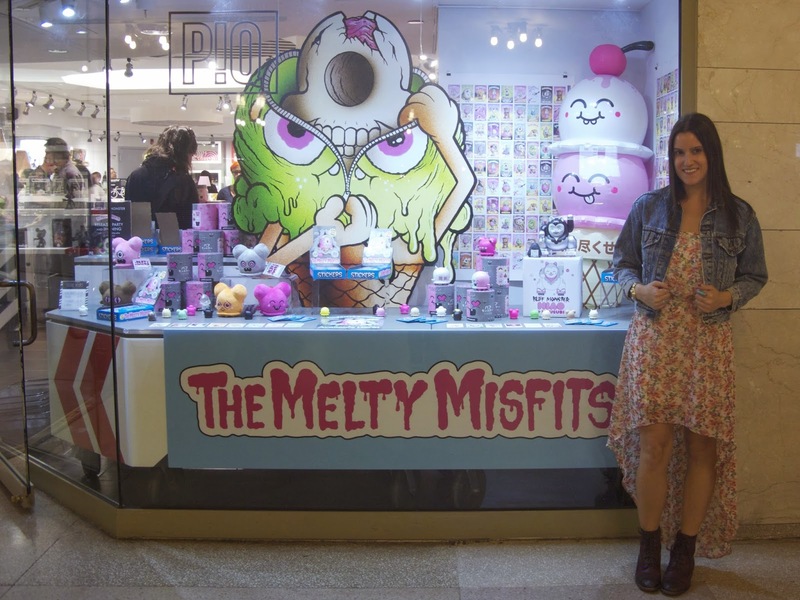 The Melty Misfits are in a perfect home here, and seeing Buff Monster down a long corridor in Grand Central Station is pretty surreal (not to mention badass). Although I usually avoid tourist and commuter filled places like Grand Central, this store is too cool right now to not check out. If you're in the city, go see it for yourself! Meeting Buff Monster was awesome, and luckily there wasn't a huge line when I was there. 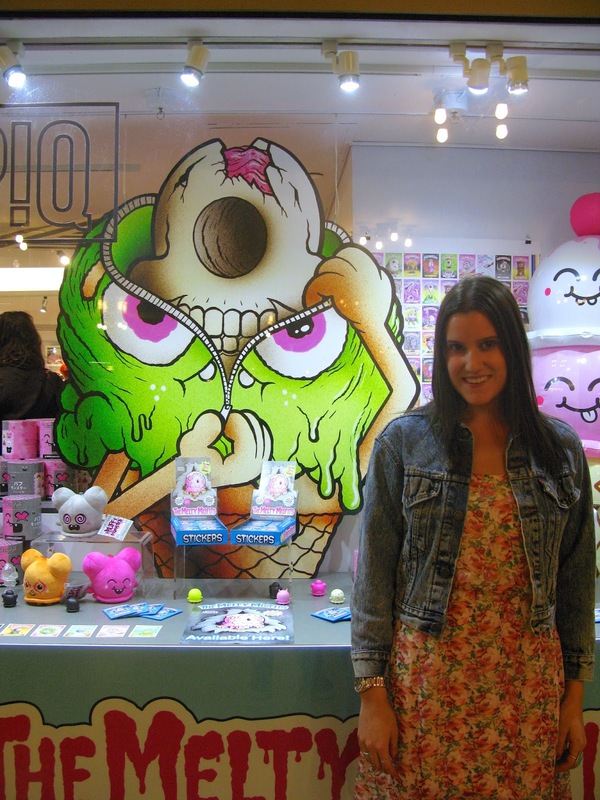 You can see the art for sale in person, or online at http://www.piqproducts.com. To commemorate this exciting event, I went through my pictures to see him back in the streets. 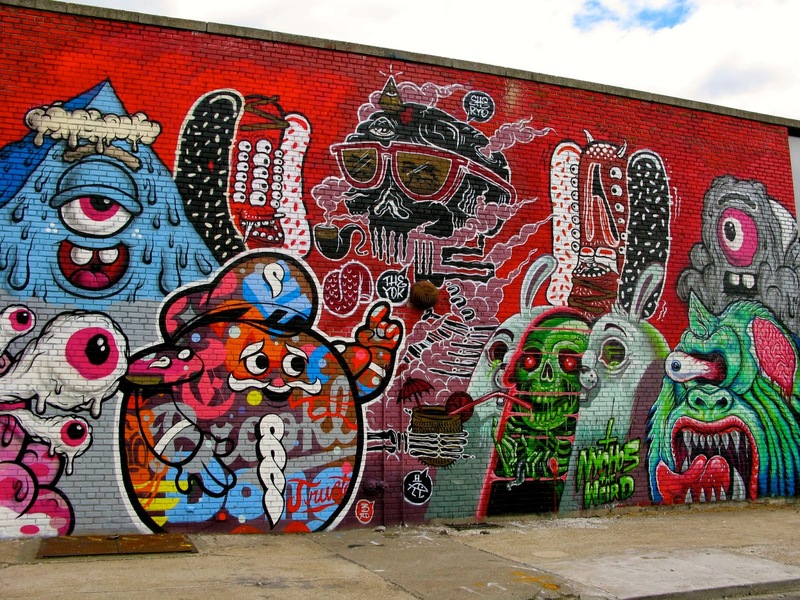 From below his studio on Broome and Bowery, to Bushwick and Little Italy, Buff Monster's art never gets old to look it. Congratulations on the newest exhibition, and thanks for all the walls in the meantime! 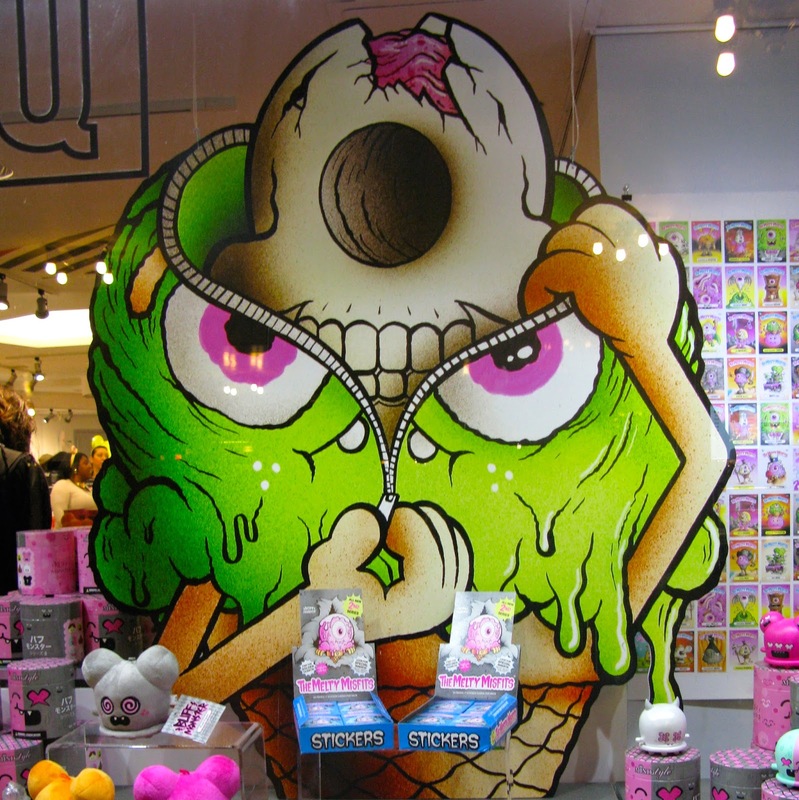 I don't think I could ever dislike art that involves ice cream & the color pink, but this is just the best. Extra melty, and I love it all. 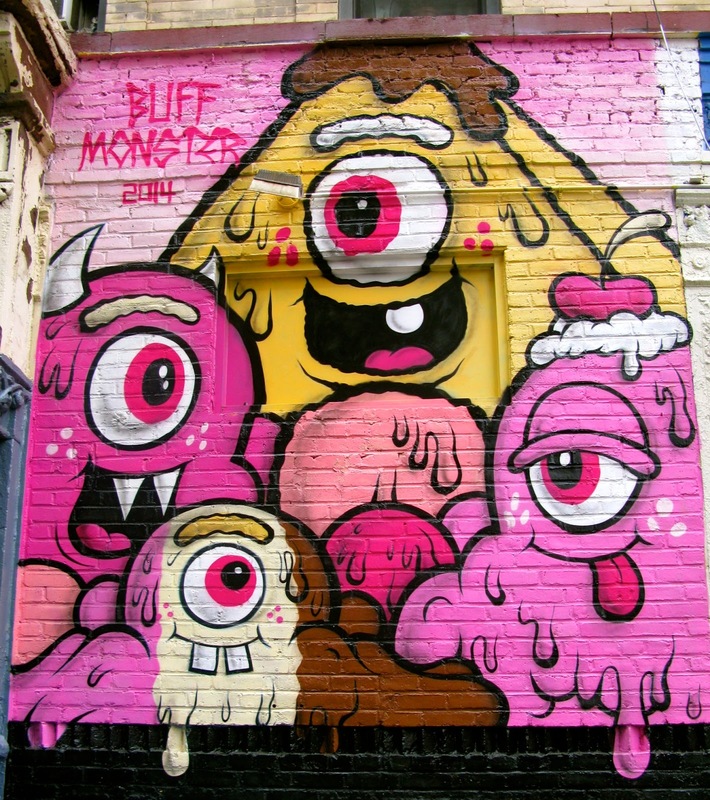 Buff Monster truly makes NYC a brighter place. Next up: Photoville at Brooklyn Bridge Park. Stay tuned, until the next mural!